The Subaru WRX and higher-performing WRX STI sedans are all-new for 2015, adding a much-needed dose of refinement and civility to their otherwise unapologetic nature. 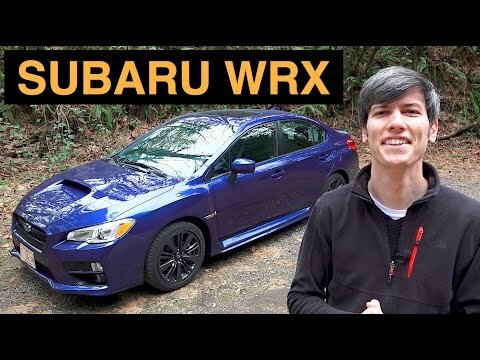 Both models send power to all four wheels through turbocharged 4-cylinder engines mated to a standard 6-speed manual transmission, with the WRX offering the option of a sport-calibrated CVT (continuously variable automatic transmission). 2015 Subaru wry 2. 0l with all the bells and whistles. My Subaru is one of the greatest cars ever made. It comes factory with a 2. 0l direct injection turbo charged motor making 268 horsepower. It is all wheel drive and great in the snow. It is very comfortable with leather heated seats, sunroof, navigation, and premium sound! This is my 4th Subaru and I got to say I cannot find anything I do not like about the car. I also get really good gas mileage for a sports car. It's a real drivers car, so if you're going to get it, you better like to drive. I like this it is fairly affordable, though using premium gas gets expensive. It could have more standard features, and their are very few additional packages. The ride is comfortable and sporty, the steering and handling are responsive, and it drives well at high speeds. It takes corners extremely well. Subaru is a good car brand and is very reliable especially during winter. Design wise wrx is good. It also has a good performance, just consumes gas more. The Subaru community is also great. They have this culture like when they see each other in the street they will do a Subaru wave. Overall I like the performance and it is very reliable especially in snow.